Although I love seeing the Dionysus GG Supreme on other girls, the bag is just not me. Something about it, I just couldn’t see myself wearing it. 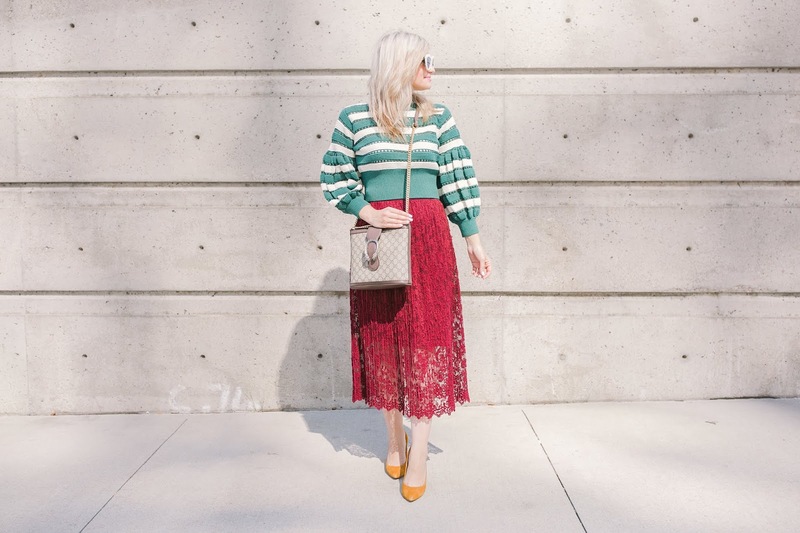 I am very particular about the designer handbags I invest in, and the size has to fit proportionally with the rest of my body. Needless to say I am picky. 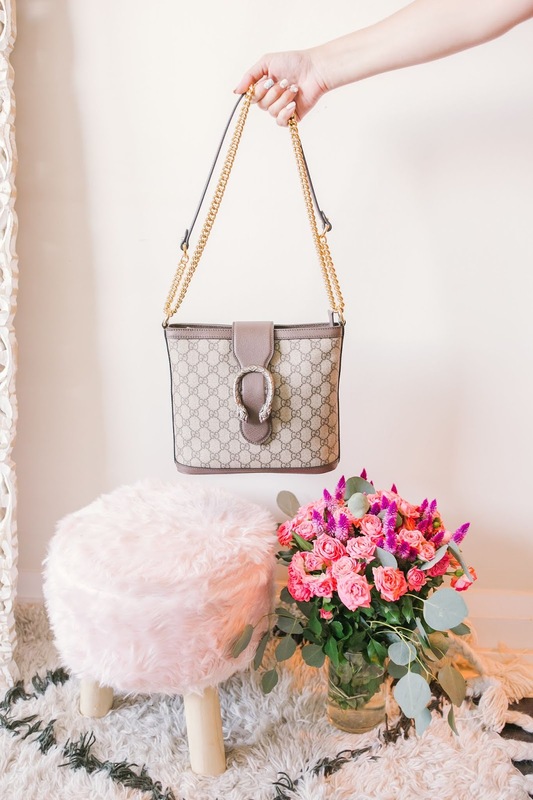 Enter Dionysus Medium GG Bucket Bag. Inspired by an archival design, the bucket bag has joined the world of Dionysus handbag series. 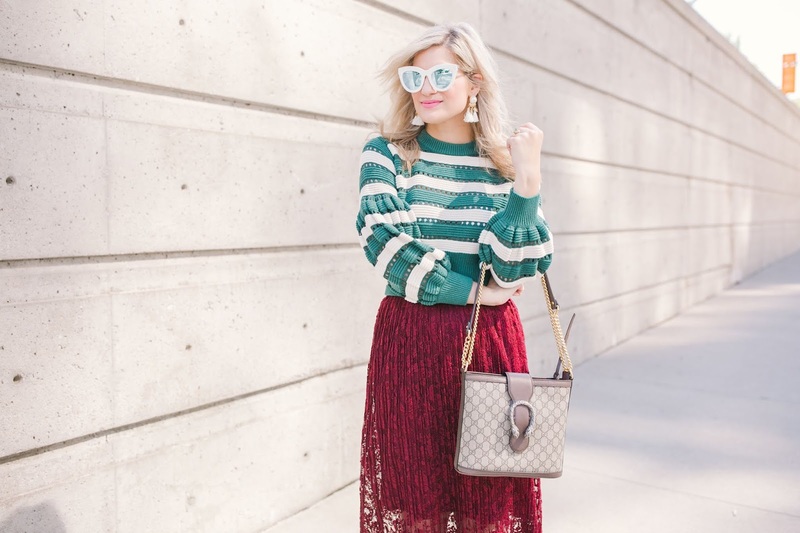 This is the 4th Gucci purse I own, and needless to say Gucci pricing has definitely gone up drastically since my first purse back in 2012. Nevertheless, Gucci’s rebranding and updated handbag designs have placed the brand on the map once again. 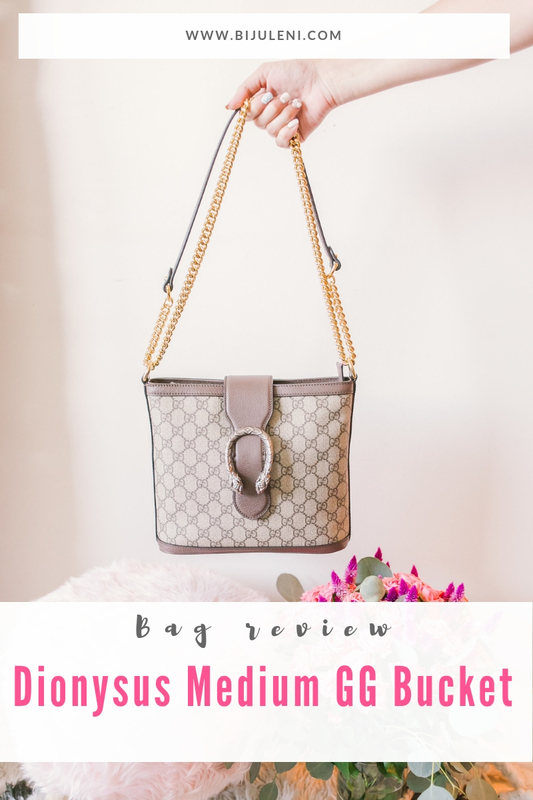 Read about my Dionysus medium GG Bucket Bag Review to decide if this is the bag or you. The silver tiger head detail of the strap closure is much more district when compared to the big GG logo closure of the GG Marmont medium matelassé shoulder handbag. 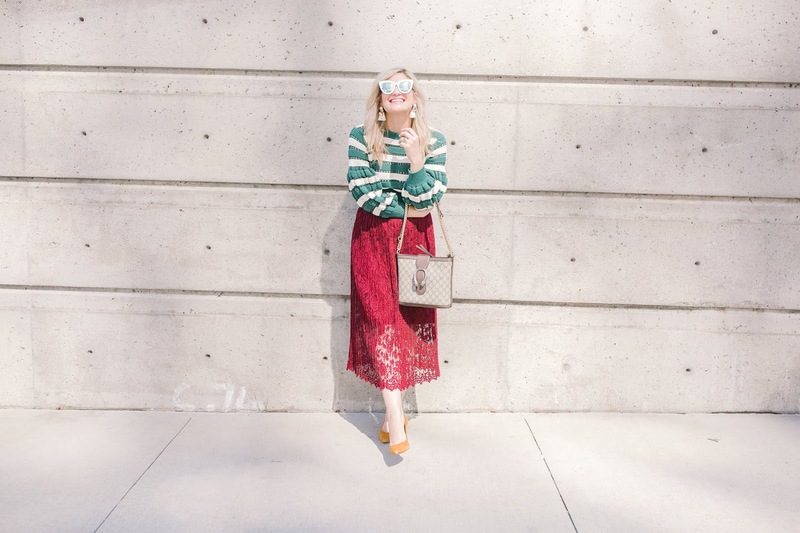 (read my review of it) If you want a handbag with details that do not stand out, but rather have a healthy balance of attention grabbing, this is definitely the one. In terms of the chain shoulder strap, you have the choice if you want an Antique silver or gold-toned hardware. I went with the gold strap because I like gold more than silver. I also love how this bag in comparison to the Supreme also has a leather strap which ensures that the hardware of the chain is not digging into your skin. One aspect of the bag which I love and hate at the same time is the silk interior fabric. A beautiful teal silk lining, I caution you to be carefully with placing liquids in your purse. As elegant as silk is, it is also very hard to clean. To keep my interior lining clean, I use different pouches to place all of my items inside instead of just dumping everything in the purse. I love large handbags where I can fit my entire life in them. 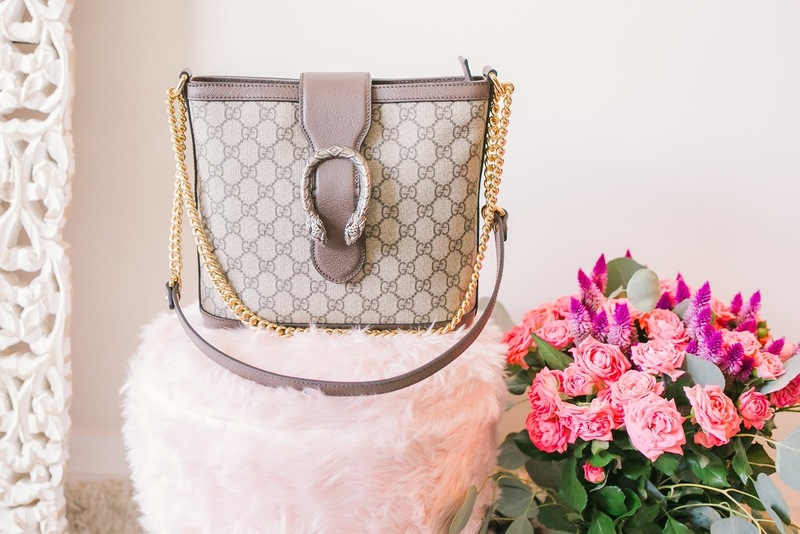 The Dionysus Medium GG Bucket Bag is just the right size. Not too big, not too small. I can fit all the necessary items I carry around with me on a daily basis, and if I want to add some extra items in there that is also possible. You can also transition from day to night, because the size is district. With a 22″ drop chain/leather shoulder strap, you can easily wear the bag either as a crossbody or as a shoulder bag with a 12.5″ drop. Oh my gosh, YES! I just love how practical this handbag is. I love all of my other purses, but this is by far a handbag that does not limit me. I love the size, the design, the versatility, I LOVE EVERYTHING. What is great about it is that the beige/ebony GG Supreme canvas, does not scratch as easily as for example the GG Marmont medium matelassé shoulder bag. 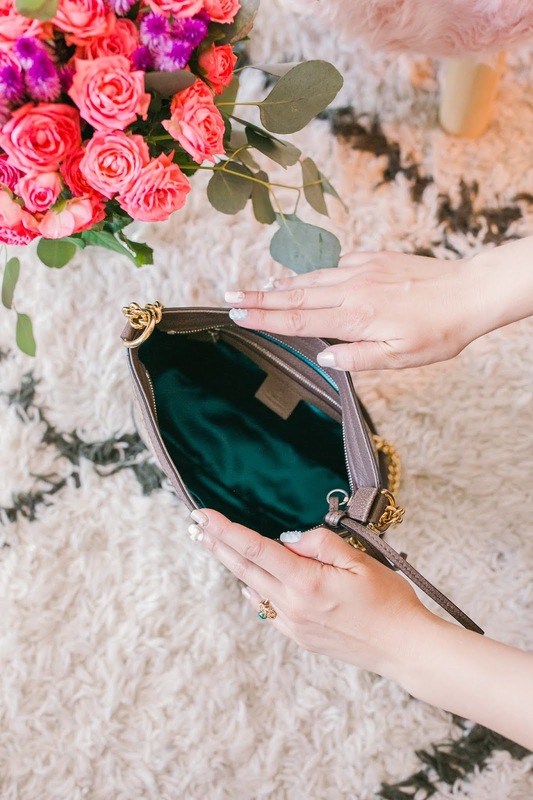 This is always a deciding factor for me when deciding which purse to invest in. Unless you beat your purse to death, chances are the scratches from everyday use on the Dionysus Medium GG Bucket bag will be minimal. In terms of pricing I do think the Dionysus Medium GG Bucket Bag is priced a little bit more than it should be, but then again what designer handbag is not. 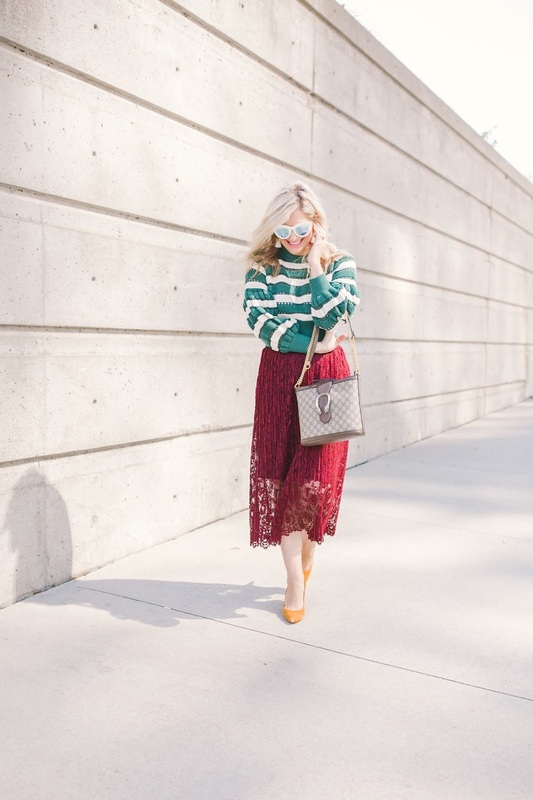 It is priced lower than the GG Marmont medium matelassé shoulder bag, so if you are looking for a more reasonably priced bag this is the one. What do you think of the bag? Yay or nay?